Another up day yesterday giving us a positive 3 day balance with a tough day 4 today. It doesnt quite have the feel of the other days in terms of top class horses with the possible exception of the King George Sprint, where a really good winner could light up the 5 furlong track and the crowd. Lets see, we have plenty of targets today and will be working hard to keep the winning thread going. Just the 7 runners but a mixed bag amongst them. The Eminent that finished 1.75 lengths behind the winner of the 2017 Derby would make mince meat of these but he has been anything but straight forward for trainer Martyn Meade. There was a hint of a return to form over an inadequate mile last time and it might be enough to suggest he is ready to win again. His main dangers are Red Verdon who was 2nd to Crystal Ocean at Ascot to record a strong figure and Mirage Dancer who again put in a good performance behind Best Solution at Newmarket. 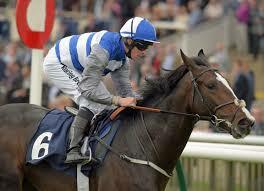 I think we will take a chance of the return to form of Eminent in the opener. Another difficult race to be definitive about. Threading would have been all the rage but for his latest run that didnt make a lot of sense form wise. Glorious Journey put in a cracking effort at Chantilly 2 runs back and then didnt perform to the same level next time out and the un exposed Regal Reality wasnt that far behind Without Parole on his 2nd run. We either excuse some poor latest runs or take a chance that the Stoute runner continues to improve and I think we will plump for the latter. The Golden Mile presents the normal handicap connundrum and we have arrived at the point of four fancied runners. We have been following Shady McCoy, who run a blinder for us at 28/1 when 2nd in the Bunbury Cup and then never got into the Heritage on his latest run. He is drawn 16 but that wont matter as he will sit chilly at the back anyway and will be hostage to fortune as he tries to weave through. Third Time Lucky won his latest contest at York but that was on soft ground and whilst he is interesting this will be run a lot quicker. Seniority, for the Queen, is a logical choice after his 4l, 8th in the Royal Hunt Cup and his draw of 3 is appealling as is Escobar, drawn in 2, as long as they can hold their position against all the outside pace. They could both end up behind a wall of horses. We will back three in the race. 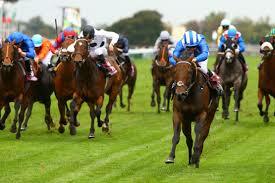 Only a group 2 race but it could herald the return to form of a horse I thought was the quickest in Europe last year. That being Battash, who, if he does get back to form will destroy this lot. That is, however a big if. Kachy has won here and is electric out of the gates, with the downhill start helping him roll along in front. 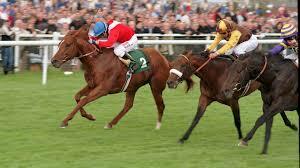 He was only beaten a neck by the favourite at Haydock but that was his 2nd run against a fresh Battash on the day. He may still be difficult to peg back. Its also possible that Havana Grey is improving after this latest success in Ireland. But will he be good enough? 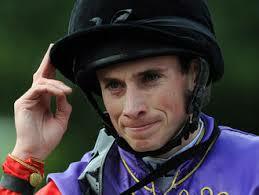 He might be a short price but I think he will burn up the course today and I expect to collect on the favourite. Forecast – 2 units – Battash to beat Kachy.